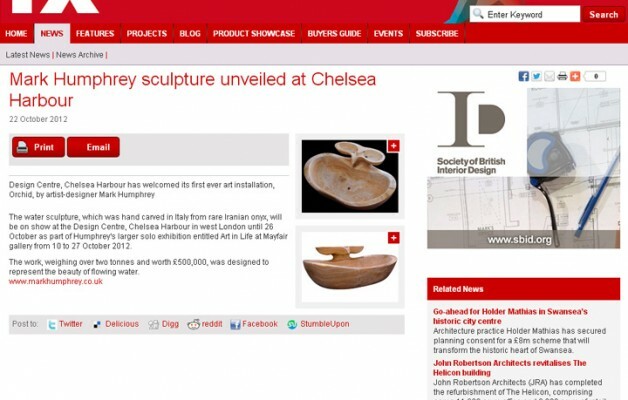 Design Centre, Chelsea Harbour has welcomed its first ever art installation, Orchid, by artist-designer Mark Humphrey. 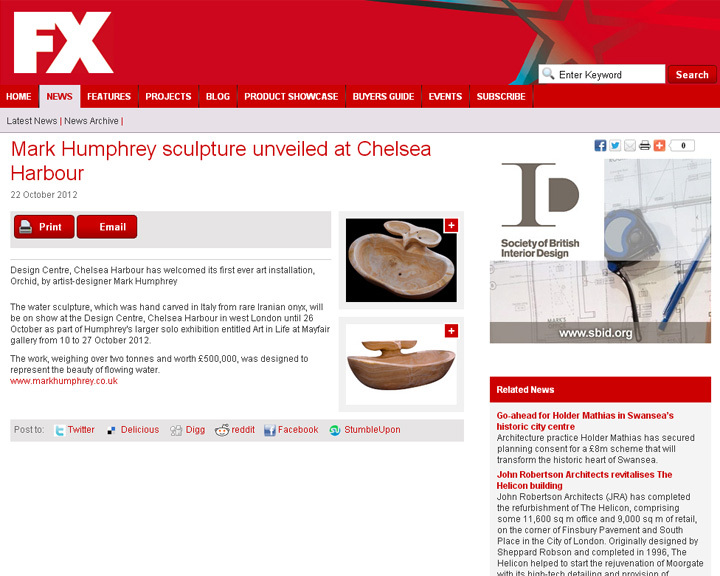 The water sculpture, which was hand carved in Italy from rare Iranian onyx, will be on show at the Design Centre, Chelsea Harbour in west London until 26 October as part of Humphrey’s larger solo exhibition entitled Art in Life at Mayfair gallery from 10 to 27 October 2012. The work, weighing over two tonnes and worth £500,000, was designed to represent the beauty of flowing water.